Did you know that February has been set apart as "Great American Pie Month?" 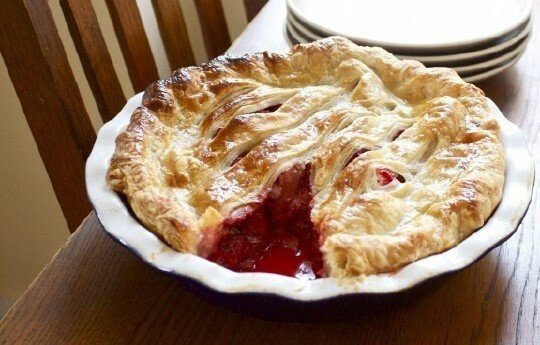 What a nice thing; after all, pie is definitely an American favorite when it comes to dessert. So this proverbial favorite does deserve its own month. 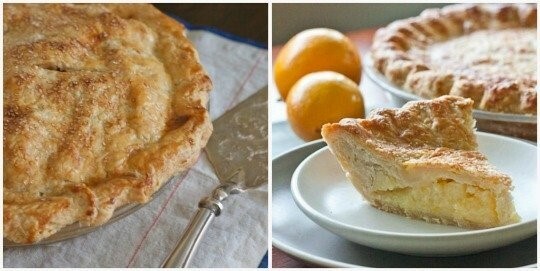 I like to make pie and do so a lot, which is a good thing, since practice makes perfect when it comes to pies. 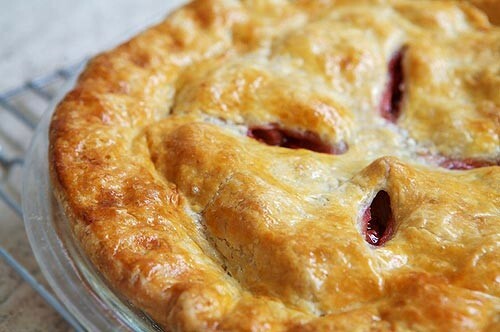 When I first started out, my crust was like shoe leather and my fruit pies always had soggy bottoms. All my practice has helped me overcome these issues and it's helped me learn a few tips and tricks that I thought, in honor of the month, I'd pass along. 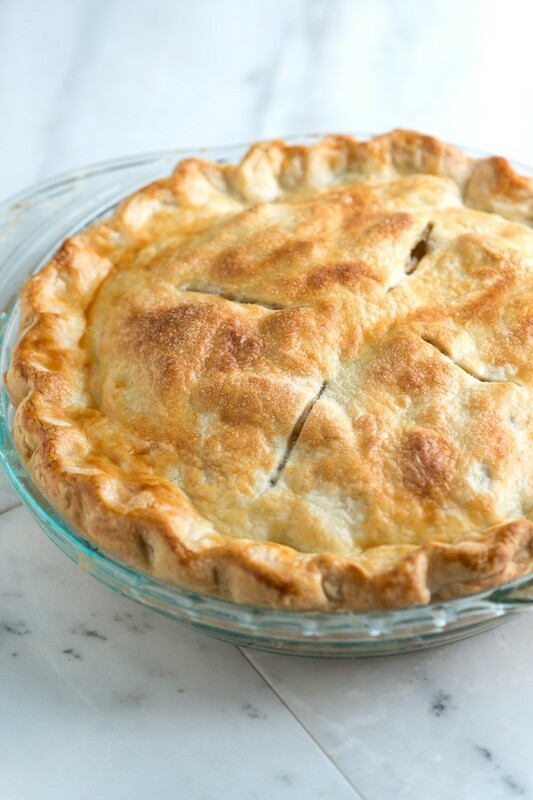 And with some help from one of my favorite cooking sites, www.thekitchn.com, there should be something here for you, whether you're an absolute beginner or a pie-baking pro. From rolling it to freezing it to cutting that tricky first slice, take a look at what's to learn from these tips for making applause-worthy pies. 1. Make sure ALL ingredients are very, very cold. Not just your fat, but even your bowl, your pastry cutter, and your flour; and of course, your water should be iced. The colder the ingredients and equipment, the less risk there will be for the fat to melt or become overworked (an enemy to flaky pie crust). 2. Incorporate a s ecret ingredient into your dough: a dash of apple cider vinegar. Add 1 teaspoon to your current favorite recipe at the time in which you're adding your ice water. Vinegar helps prevent the formation of gluten which makes for a tough crust. 3. Always let your dough rest for at least one hour. This was one of the first things I learned, and I learned it from the site previously mentioned, www.thekitchn.com. Here's their explanation: "Again, it's all about gluten, and instead of going into the science behind it all, just trust that after working your ingredients together and getting everything all excited, it's got to have time to relax in order for it to be on its best behavior when you're rolling it out." 4. Use flour liberally to roll out your dough. Don't even think twice about it. However, once your dough is rolled to the appropriate diameter, take a dry pastry brush and whisk away any and all excess (on both sides). The last thing you want is a nice round of pie dough that's cloaked in flour-that will kill any hopes for light and flaky crust right there. 5. Don't stress. Just relax and take things step-by-step, believing that everything will come out just fine. It will, more or less. As mentioned earlier, success in pie making comes with practice, so dive in with gusto and have fun. From them I learned: Getting a golden color on a pie crust usually doesn't have to do with the crust itself; it's what you brush on top. From milk to egg yolks, the sugars and proteins in the glaze will caramelize before the crust itself, giving the pie extra color and a burnished look. • Egg White - No color, but a very shiny finish. We use egg whites when we're planning on sprinkling the crust with sugar. It helps the sugar stick and makes the pie look sparkly. For any of these glazes, you want to apply a fairly thin coating with no puddles. 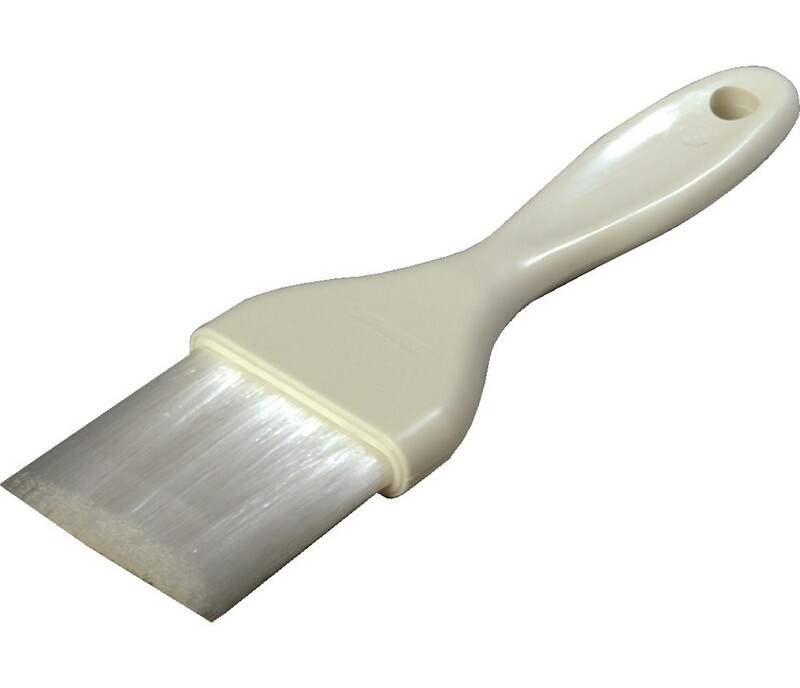 A pastry brush with very soft bristles works best for this job. If you're using any of the egg washes, whisking in a teaspoon or two of water will help thin it out if the glaze feels too thick to brush on. Which glaze you like best is really a personal choice. The Kitchn folks feel that a whole egg probably is the best all-purpose glaze. Next week I'll continue this pie-making lesson with instructions on using rice flour to roll out dough, how to avoid soggy bottoms (this information alone is worth the price of admission! ), choosing the right pie dish, and the sacrificial slice. Meanwhile, here's to forging ahead with pie making practice-keep at it and you too, will end up with applause-worthy pies!